As 2019 creeps ever nearer, we are looking ahead to what the world of safari holds in the new year. What is changing on the safari landscape, and what exciting developments are in store at our favourite locations throughout Africa? 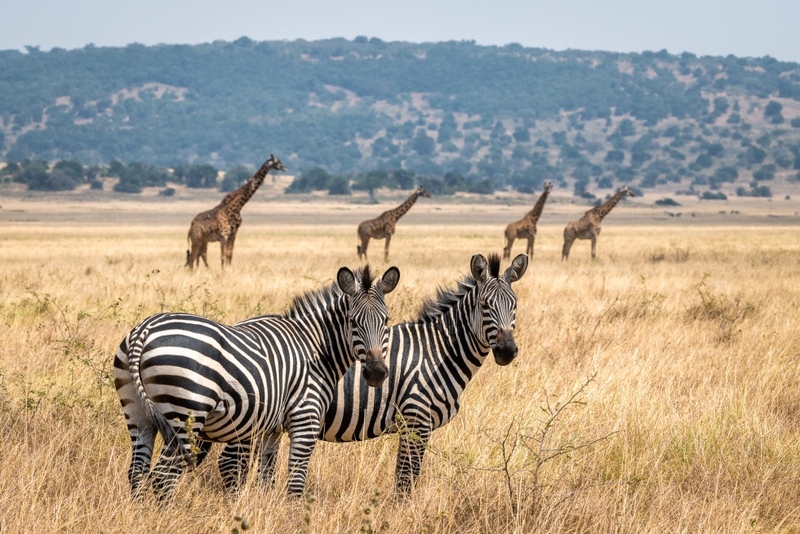 In our last blog post, we shared some travel trends of 2019, and in this issue we are talking about a very special place on the continent that has been under a 20-year reconstruction plan, gently nurturing and rehabilitating a vast wilderness area to recreate the wildlife sanctuary it once was. 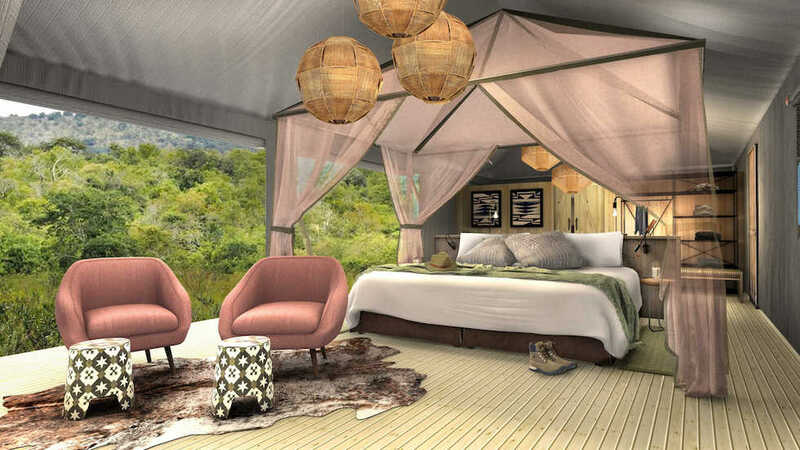 Next year, we are anticipating the opening of Magashi Camp in Akagera National Park – Rwanda’s Big Five safari destination and one of the last remaining homes to the elusive shoebill, the secretive sitatunga, and newly introduced black rhino. Rwanda has forged ahead in conservation and sustainable tourism, leading other reputably conservation-focused African countries to an inspiring new potential. From Volcanoes National Park where the world’s most luxurious and easily accessible gorilla trekking experiences can be had, to Nyungwe Forest Reserve where chimpanzee and other primate safaris are highly sought after; Rwanda’s volcanic jungle tourism has had serious lift off, but what about its enormous offering of savannah wildlife and safari potential? Well, that’s where Akagera comes in. 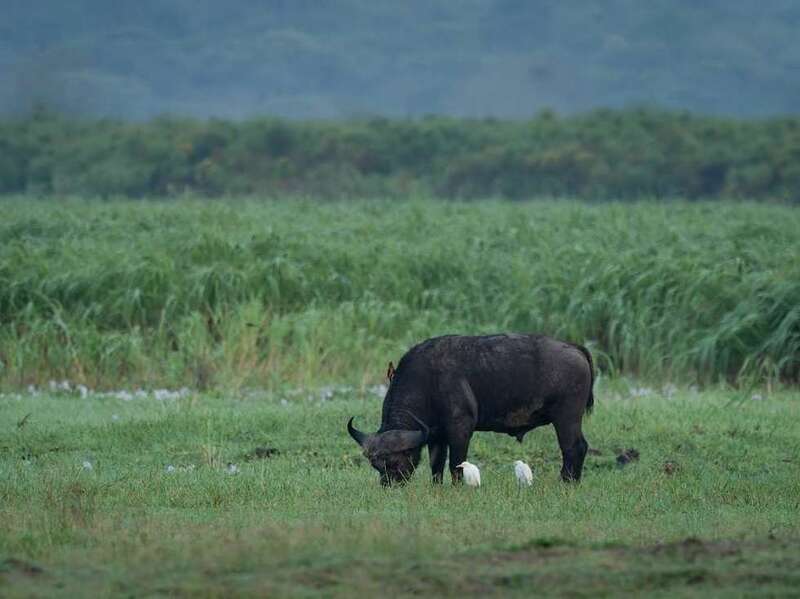 The 100 000-hectare national park is on the eastern boundary of this diminutive African country where it borders Tanzania, and it has an incredible, mixed natural landscape, including wetland and swamps, lakes, low-lying grassy mountains, woodland, and savannah. 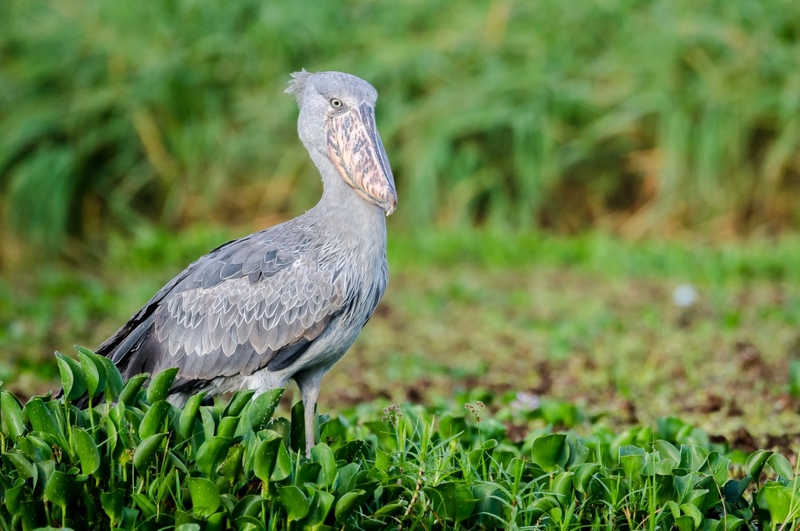 Akagera supports around 500 species of bird and an awe-inspiring diversity of wildlife, which since 2015, includes the famous Big Five. 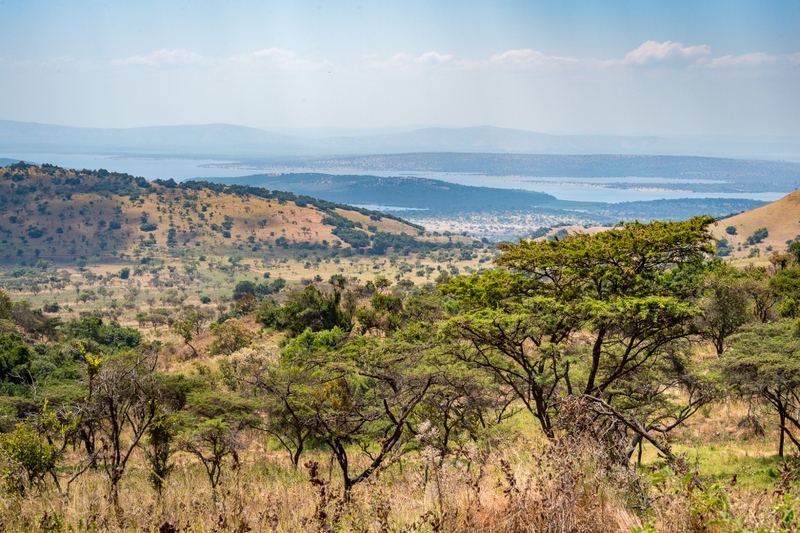 Over almost the last 20 years, Akagera has been in the capable hands of African Parks, which is working with the Rwanda Development Board to turn things around from its pre-2010 state of demise and obliteration, to a figure of true revival. Only last year, Akagera received its first black rhinos after a 10-year absence, and before that in 2015, lions were returned to the park after two whole decades. 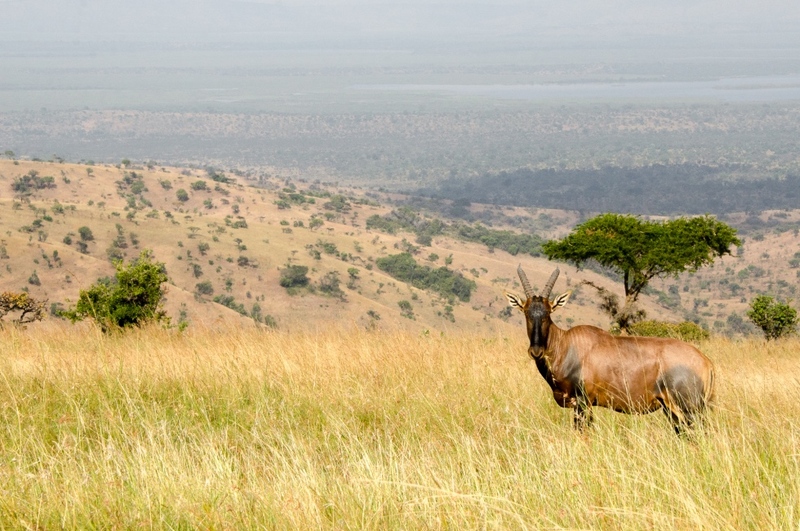 When African Parks took over management in 2010, the monumental task of overhauling Akagera meant implementing security through law enforcement, anti-poaching rangers and deploying a K9 Unit, and building 120km of solar-powered predator-proof fence. What changed? Poaching was almost entirely eliminated, wildlife conflict decreased dramatically, and school children from local communities took field trips to the park as part of their environmental education. 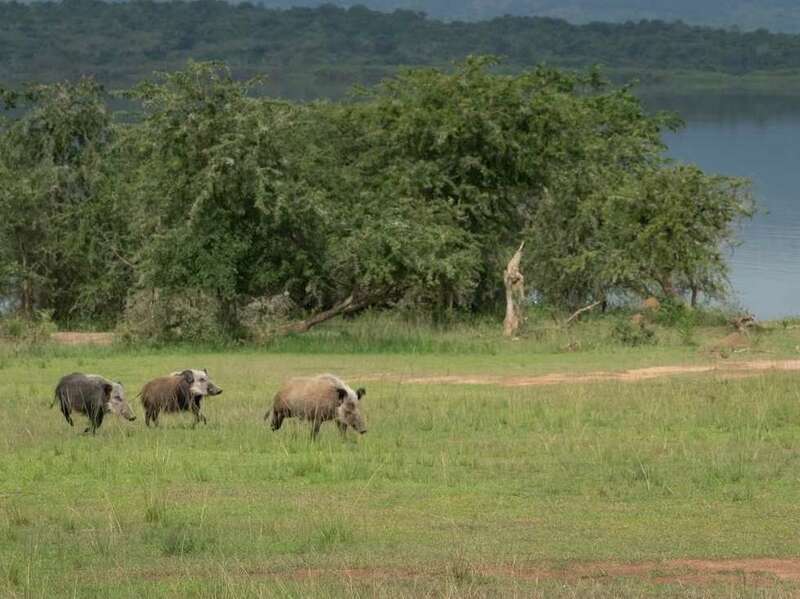 Last year, 17 years down the line, Akagera National Park received 36 000 tourists, and self-financed 75% of its income, while 18 Eastern black rhinos were introduced and the lion population (which has tripled in size) received another two members to diversify its gene pool. All this from its beginnings as decimated and damaged remnants of a wildlife reserve. 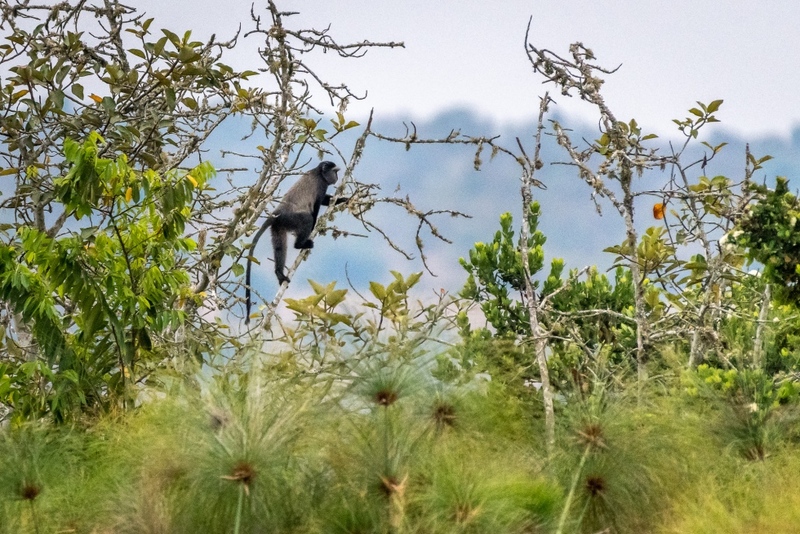 So, when you’re booking your primate safari experience in Rwanda’s pristine volcanic forests, let your eye wander to Akagera and consider a combination of wilderness explorations. 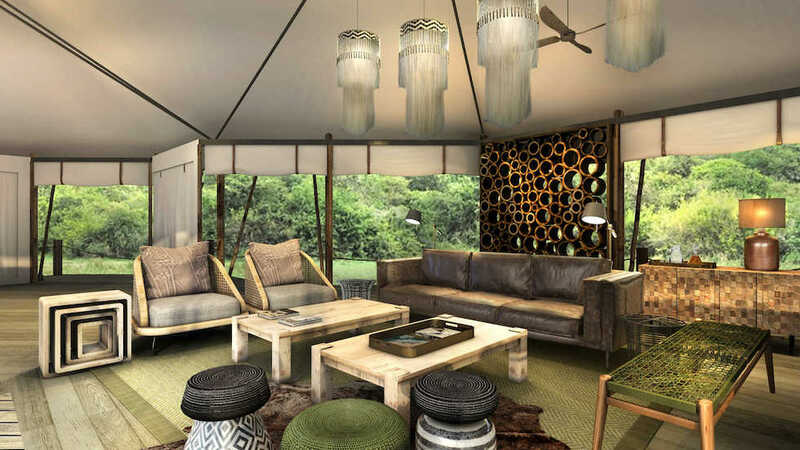 In early 2019, a brand new luxury tented camp is opening under the excellent Wilderness Safaris umbrella, demonstrating even further the investment top conservation-orientated organisations are putting into Rwanda. Magashi Camp, as it will be called, has all work in place to open its doors in March and operate from an exclusive concession in the northeastern region of Akagera, on the rim of Lake Rwanyakazinga. 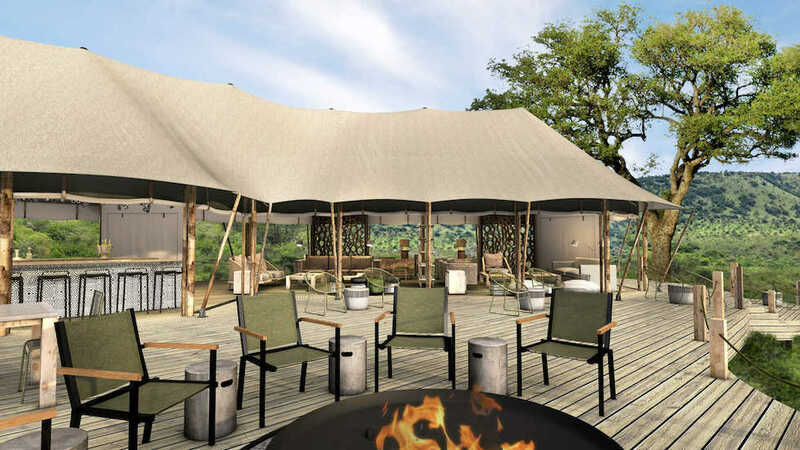 Just like our favourite Wilderness properties, this classic safari camp will have style and finesse that supports and sustains the environment in which it is built. The income generated through Magashi Camp will be injected into various projects that grow local communities’ income and opportunities as well as protecting and building the precious natural landscape. 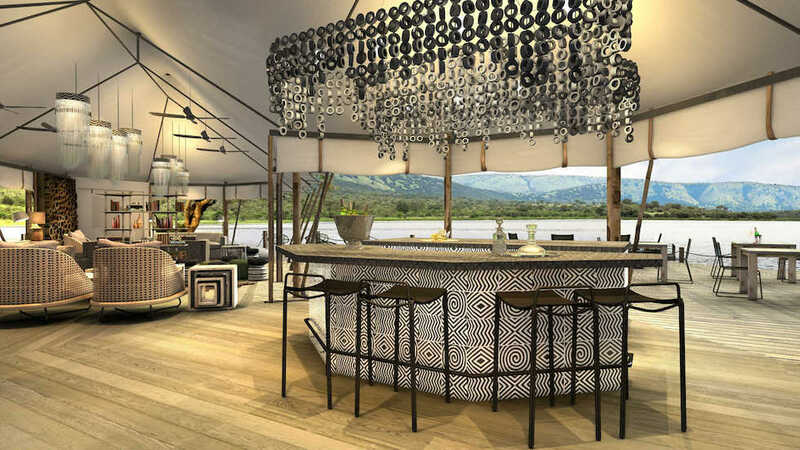 Magashi, once completed, will have just six canvas tented suites, all overlooking the lake, and a communal lounge, dining, and bar, complete with viewing deck, open-air fire pit for long evenings admiring the stars. Added luxury (and we mean in addition to the already very present luxury) comes in the form of a wine cellar and a swimming pool, while all of these features are tied together by the organic ambience inspired by Rwanda’s unique, historic culture. 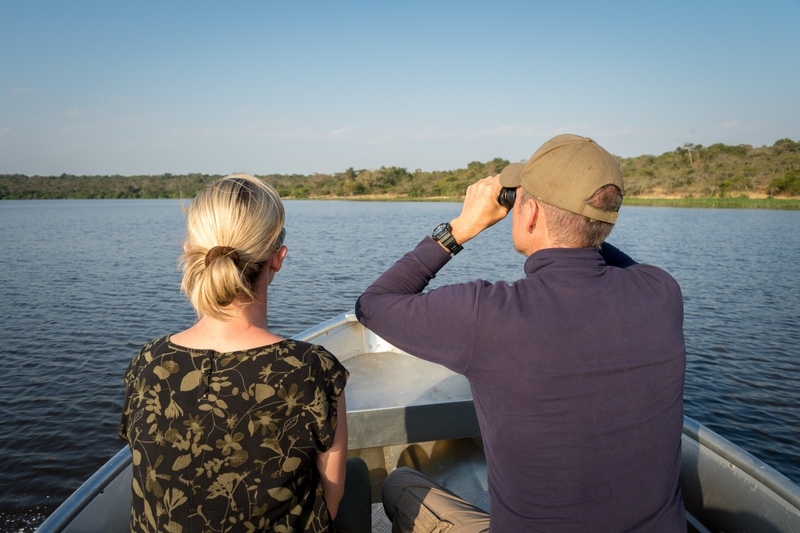 From catch-and-release fishing opportunities to guided walking safaris, day and night game drives, and boating among high densities of hippo and record-breaking Nile crocs; Magashi will offer private access to this African Eden. 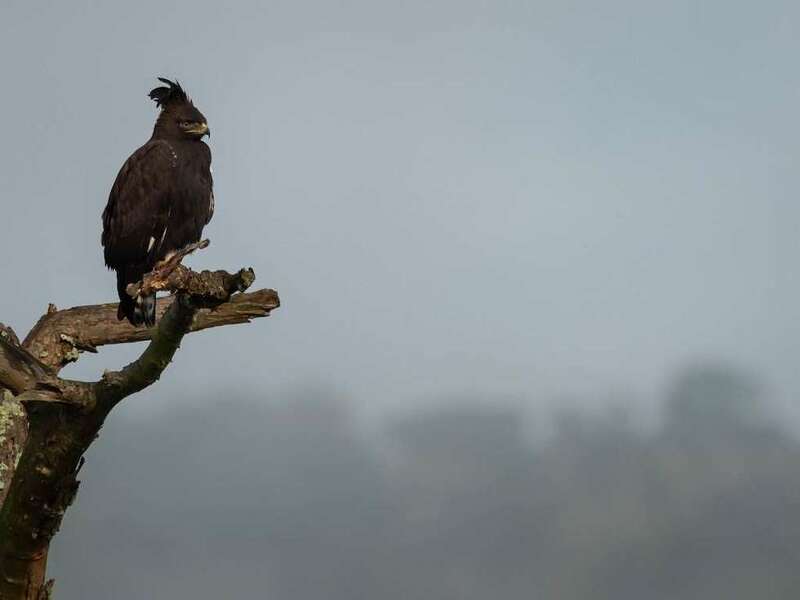 Dedicated bird watching will tickle the fancy of any keen twitcher, while the presence of buffalo, leopard, lion, black rhino, elephant, topi, giraffe, zebra, eland, roan, and spotted hyena will keep every pair of eyes busy during safari activities. 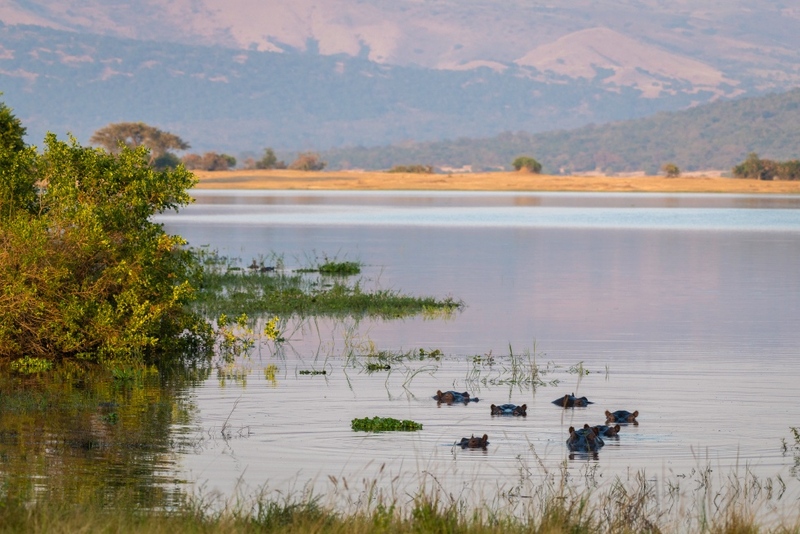 The biodiversity is phenomenal, and once you consider the journey Akagera has been on over the last two decades, it is nothing less than a marvel.